Customer Satisfaction is Our Everything! We are locally owned and operated and offer dependable, quality workmanship at a reasonable price. If you are looking for an electrician in North Vancouver or West Vancouver, you have made the right choice! Coast Mountain Electric Ltd. has been providing custom residential and commercial electrical services to the North Shore and the Greater Vancouver area including Burnaby, New Westminster and Coquitlam since 1993. As a fully-licensed and insured electrical contractor, we can install or repair any wiring in your home or business. Whether your project is a new home, renovation or commercial upgrade, we can provide the solution you are looking for. Call on the professionals at Coast Mountain Electric Ltd. for everything including new construction, renovations, tenant improvements, electrical panel installations, electrical service installations, electrical car charging systems, landscape lighting, maintenance, minor electrical repairs, troubleshooting and service calls. Our very knowledgeable staff is customer service-oriented and we are proud to say that the majority of our business comes by referral from our many long-term clients. At Coast Mountain Electric Ltd., we realize that in order to earn your business, we must offer the best quality workmanship in a timely, dependable and professional manner at a reasonable price. Of course, all of our electrical work is 100% guaranteed. Let us demonstrate to you how we can deliver the best possible service and overall value in the electrical industry by dispatching one of our journeyman electricians to your home or business today. Coast Mountain Electric, your North Vancouver electrician, also serves West Vancouver and many other Lower Mainland communities. From our office located on the North Shore, we offer numerous electrical services for residential and commercial customers. We would just like to say that your electrician was absolutely brilliant, efficient, knowledgeable and thorough! We are extremely happy with the service that he provided. Thank you so much for your terrific work. We especially appreciated your professional attitude to timing of appointments. Excellent, competent, well equipped! I doubt if any other electricians could have solved the problem. Do you need help with your electrical problem? 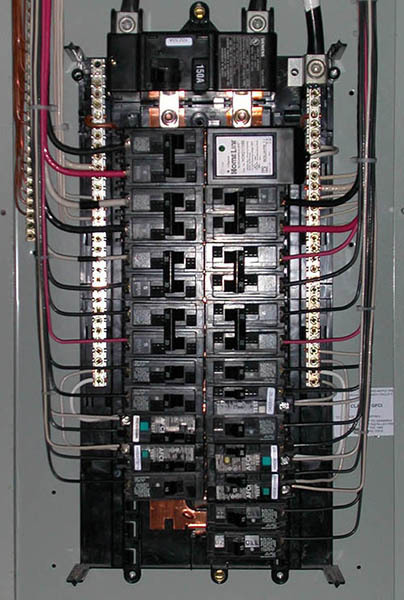 Contact us now to dispatch an electrician to solve your electrical issues.